While the frequency of Humble Mobile Bundles has slowed in the last year, we are still graced with new ones every now and again. This time around, you can get up to eight games, with more on the way. Thing is, you need to jump on this deal since it's only good for about another two weeks. The latest mobile Humble Bundle is available, and that means now is your chance to get a bunch of great games for next to nothing. 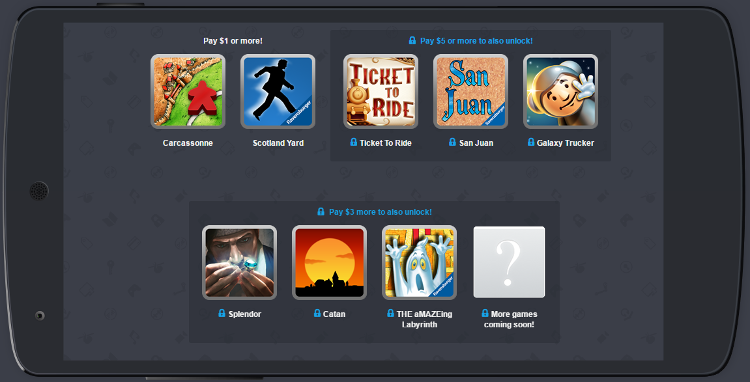 The bundle currently includes seven games, and as usual, more will be added in a week. 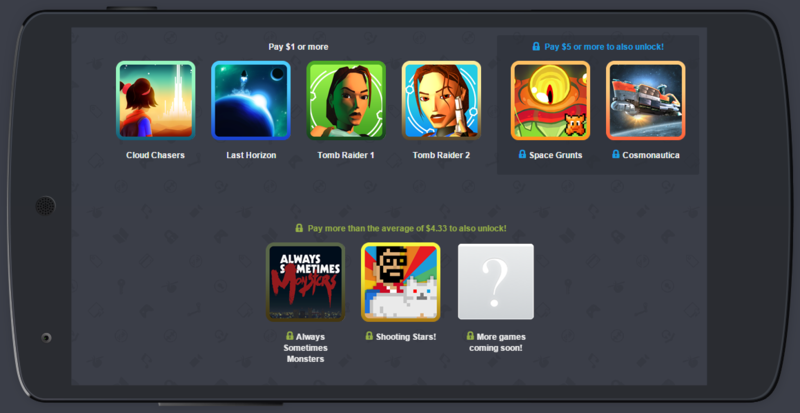 Humble Bundle isn't doing the constant Android game bundles anymore, but when they do a mobile bundle these days, it's a good one. 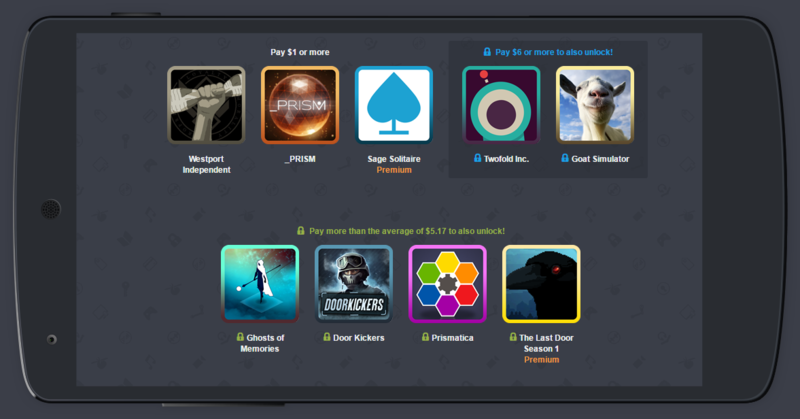 Humble Mobile Bundle 19 is now live with seven rad games and more on the way. You can pay what you want to unlock one, two, or all three tiers of games. The best ones are, of course, in the top tier. 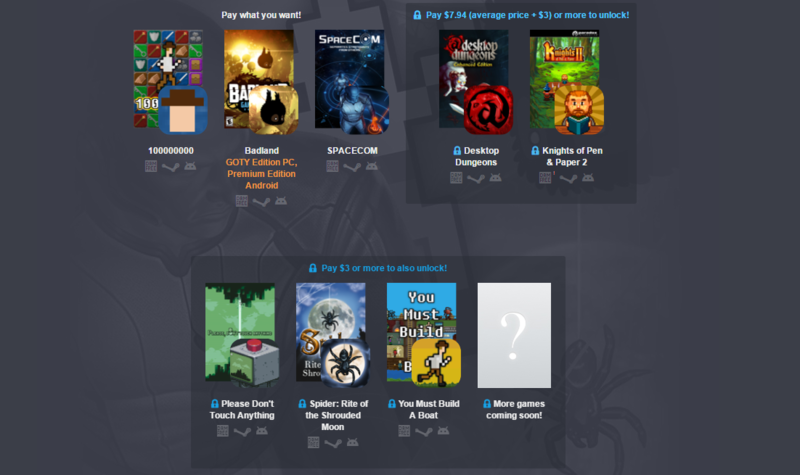 There's a new Humble Bundle that is relevant to our interests! The Humble PC & Android Bundle 14 is now live, and it includes eight games out of the gate with more being added later. 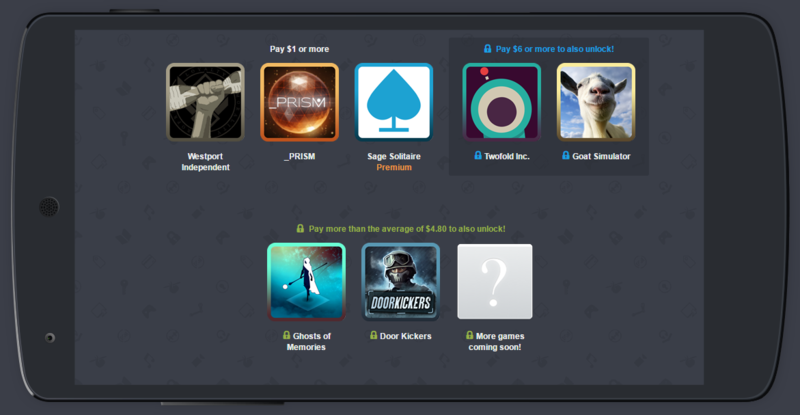 Because this is a PC and Android bundle, you get all the included games on both platforms. 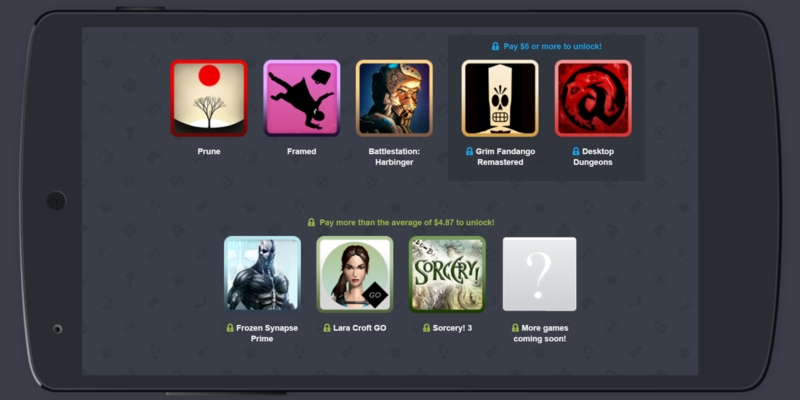 As is tradition, Humble Bundle has updated its latest mobile deal with new games. There's still a week left to claim the whole bundle for as little as $7, but you might not have to drop even this small amount of coin. We've got 10 codes for the whole bundle, and we're giving them away below. 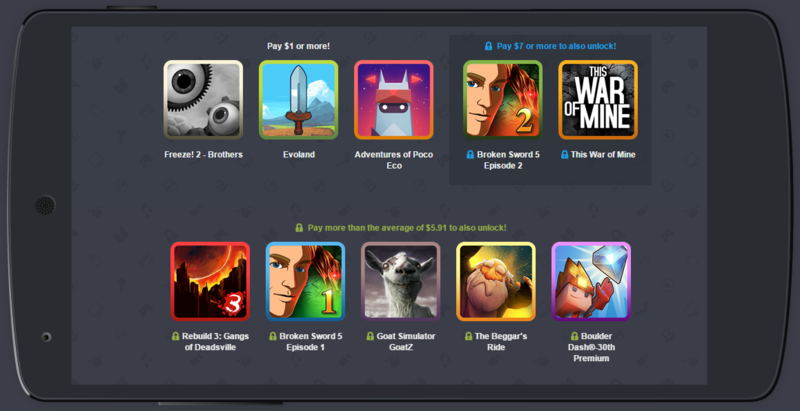 Humble Bundle ended its bi-weekly mobile deals a while back, but there's still a new Android bundle every now and then. Like right now, for example. You can get up to eight Android games, with more on the way. You just have to jump on the deal before it expires in two weeks. 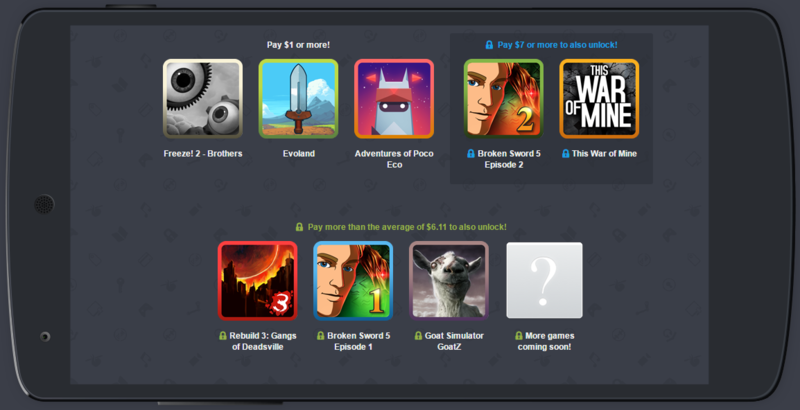 The seventeenth Humble Mobile Bundle just launched, and it looks set to be one of the biggest yet. This time around it's packing top-tier Android games from the likes of SQUARE ENIX and Double Fine, as well as the usual indie darlings, while benefiting the Electronic Frontier Foundation and the American Red Cross. For the next two weeks, those who pay $1 or more will get Battlestation: Harbinger, Framed, and Time Magazine's 2015 Game of the Year, Prune. Customers who pay more than the average price will also receive Frozen Synapse Prime, Lara Croft GO, and Sorcery! 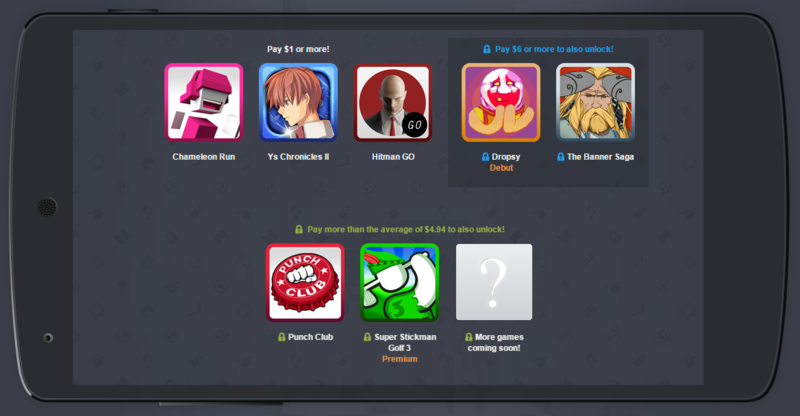 Humble Bundle stopped doing its bi-weekly mobile bundle a while back and moved to a more sporadic "whenever we feel like it" schedule. Well, they apparently feel like it today. 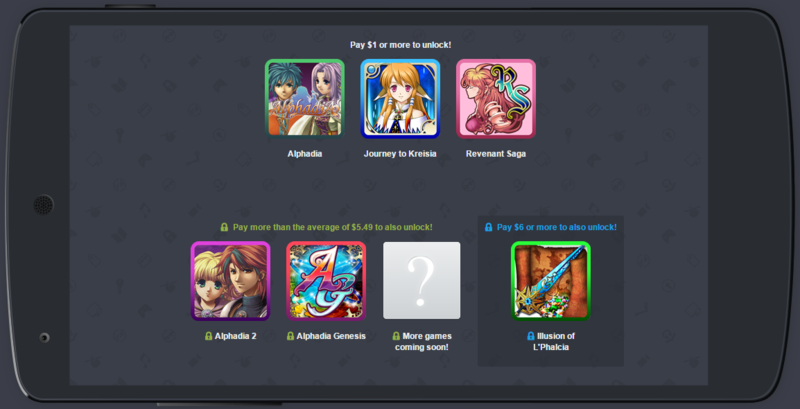 There's a bundle of six Kemco JRPGs on sale right now, with more on the way.